I have no idea how this trend started, but I wanted to try it and see if it actually worked. 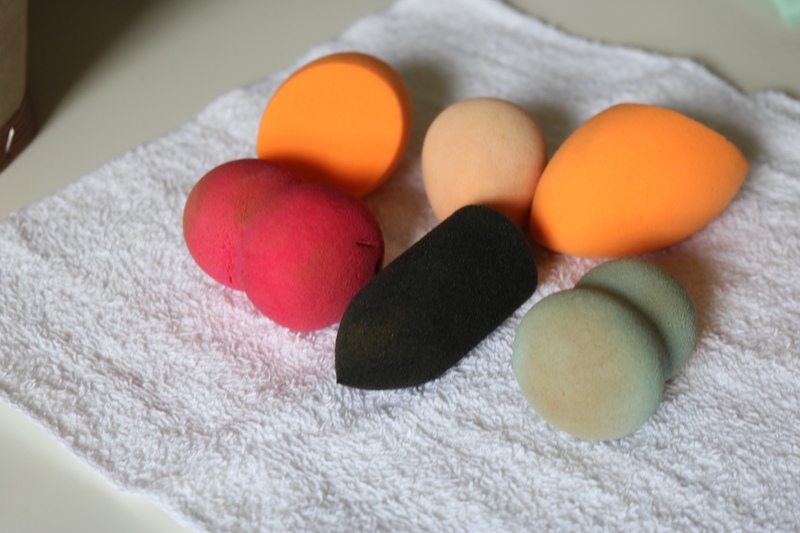 Now you are supposed to clean your beauty blenders or any beauty tools at least once a week especially if you are using them on a regular basis. 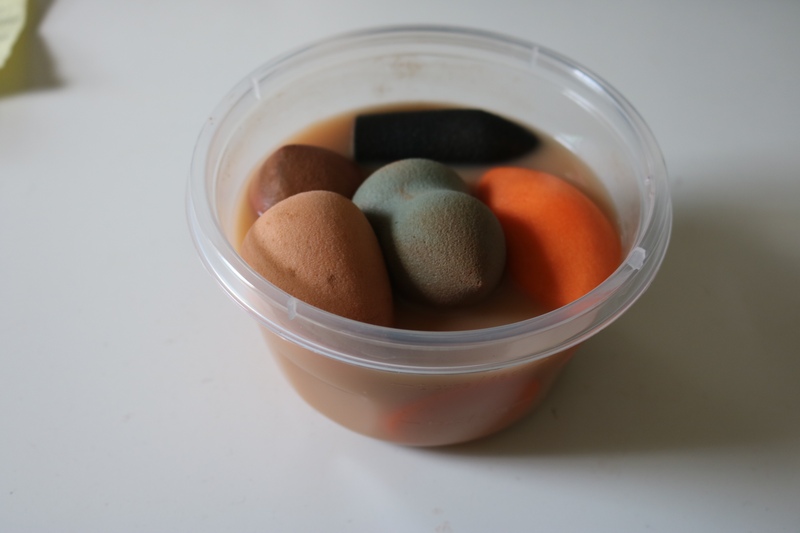 But honestly sometimes instead of cleaning 50+ brushes or a bunch of beauty blenders sometimes it’s easier just to buy another one than to clean the ones you have so this hack has actually made it very easy and I also feel like you’re getting a deeper clean because of the heat and dish detergent. This is before…😫😩😖 Sooooo Dirty!!!!! 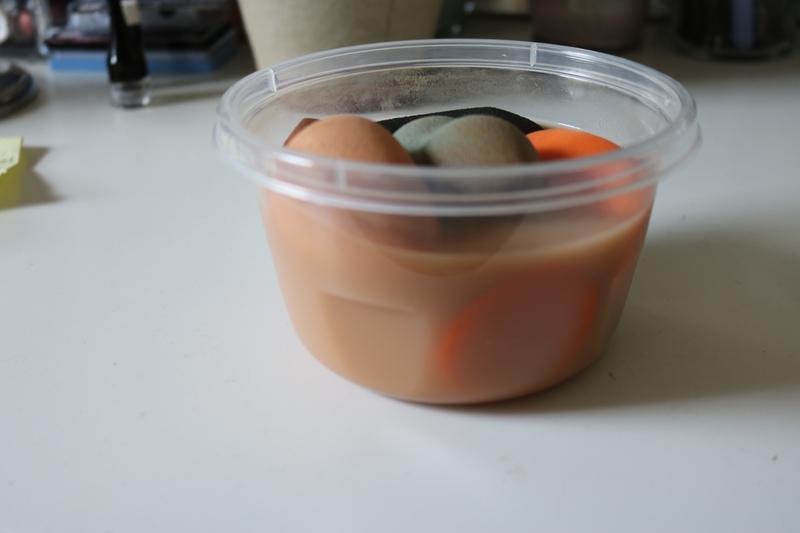 Step 2: Place your beauty blenders in a microwaveable dish. You can clean them one by one or place them all in a bowl. 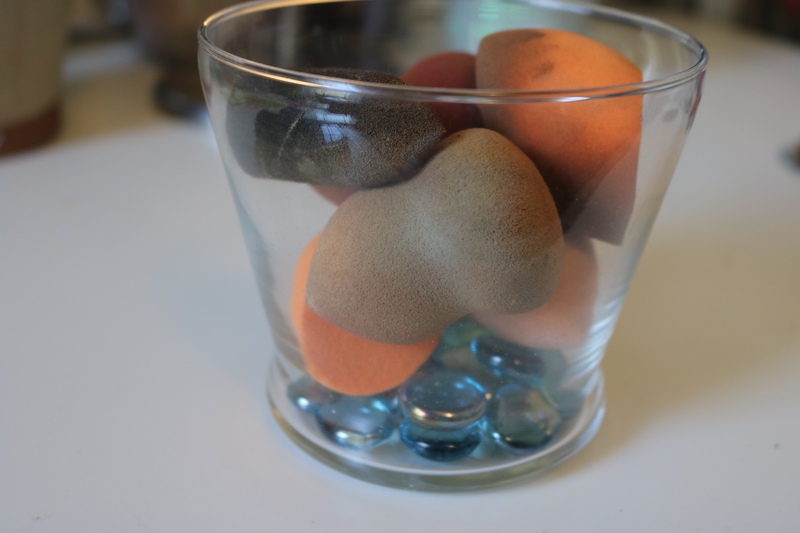 Step 3: Fill the bowl with water to cover the beauty blenders. Step 4: Place the bowl in the microwave for 30 seconds. If the sponge is still dirty, microwave an additional 30 seconds. 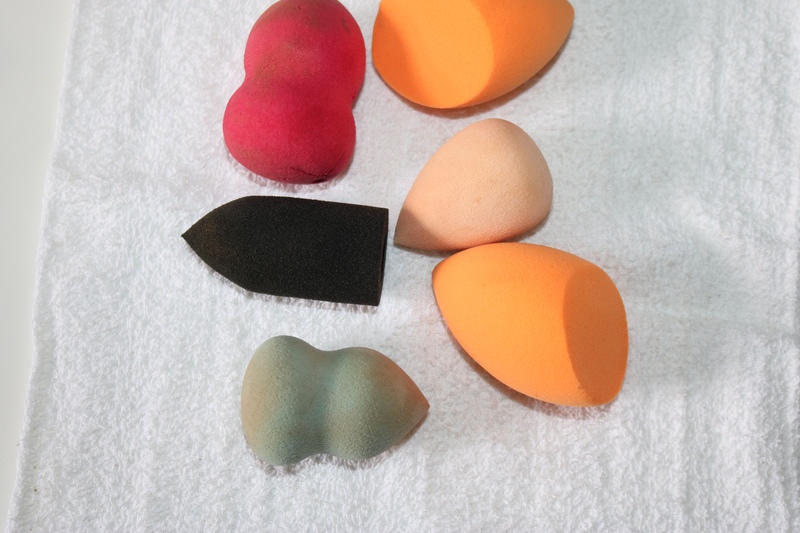 Step 6: If beauty blenders are still dirty repeat process. 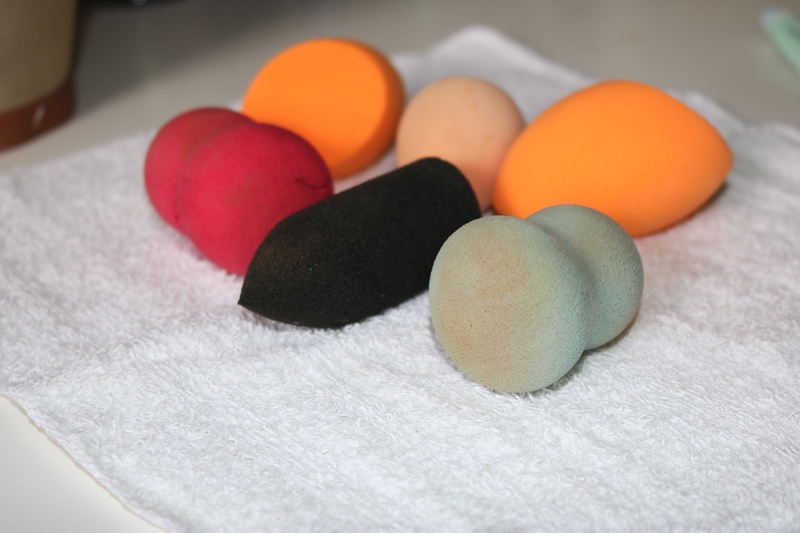 I repeated the process twice and this is the only way I clean my beauty blenders now. I feel like I get a deep clean and all of the concealer and foundation that has been caked on for weeks disappears. P.S.- Affiliate Links are included in this post. For more information on our disclaimer click here. 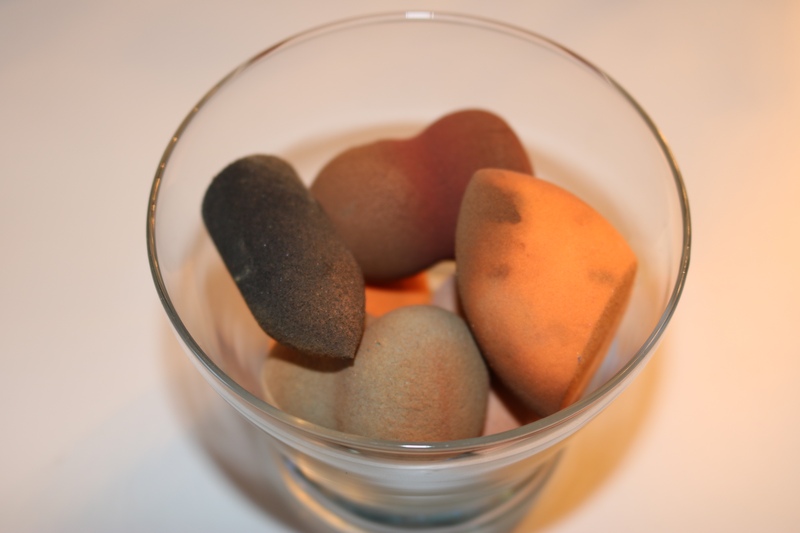 This entry was posted in Beauty Finds and tagged clean makeup brushes, clean makeup sponges, how to clean beauty blenders, microwave Beauty blender.